Susan Barbara Apollon is a Pennsylvania-licensed intuitive psychologist, as well as a cancer survivor and thriver. She has been in private practice since 1991 and specializes in grief, integrative oncology, and trauma. She is also an author, educator, and researcher of consciousness, mind, prayer, intuition, angels, energy, and healing. Physicians refer their patients to Susan for assistance in healing their grief or meeting their cancer challenge. Susan’s roots are in medicine. Her path and her approach, however, have enabled her to develop a unique perspective on healing—one that is based on an understanding that everything is energy and that energy is also medicine. With certification in Eden Energy Medicine and training in a number of energy modalities, as well as Energy Psychology, Susan shares with her patients her research findings concerning the primary factors that contribute to remission and healing. Her intention is to provide them with the wisdom and tools needed to achieve balance and wholeness, as well as to survive and thrive. Susan is the author of five books: Touched by the Extraordinary (Book One); Touched by the Extraordinary, Book Two: Healing Stories of Love, Loss & Hope; Affirmations for Healing Mind, Body & Spirit; (coauthor) Intuition Is Easy and Fun; and An Inside Job: A Psychologist Shares Healing Wisdom for Your Cancer Journey. 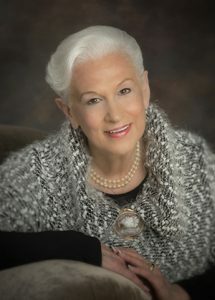 She is also the creator of several CDs, including: Guided Meditation for Peace, Healing and Empowerment; Healing, Loving Imagery to Comfort and Soothe the Soul Challenged by Cancer; A Healing Meditation to Successfully Meet the Challenge of Cancer; Creating Miracles in Your Life: Extraordinary Stories of Cancer Survivors; and The Healing Power of Love. Susan hopes this body of work will enable readers and listeners to appreciate the extraordinary spiritual implications of their journey with grief and/or cancer. Susan loves sharing her passion for healing and the extraordinary (including miracles, the power of prayer, and angels). Her belief in the inherent healing wisdom and power within each of us, along with her unique blend of research and personal anecdotal material and stories, have helped many to shift and grow spiritually. Her articles have appeared in national publications, including magazines, newspapers, and websites. Additionally, she has been a guest on numerous radio and television shows. She has conducted workshops, taught seminars, led healing retreats, and been asked to be a part of interfaith events. Susan is honored to co-lead The GyniGirls, along with Dr. Amy Harvey. Being a part of this women’s cancer support group nurtures her soul. Additionally, she enjoys speaking and sharing her research, as well as volunteering at a free monthly Energy Medicine Clinic. Family, friends, and pets mean everything to Susan. When not engaged in research, writing, speaking, and her clinical work, she longs to be out in nature. What she loves most is being with her husband, to whom she has been married for 50 years, her children—especially her new granddaughter—her cherished pets, and dear friends. She knows she is richly blessed.